The goal is still to knock out these debts including the cars before I go for a house. Ive been noticing that over the last few years the amount needed to qualify for the top rates at my credit union other lenders have climbed up. When I was looking at the Jeep just two years ago you needed a 760 to qualify for the top rates at my CU. When I looked again for the XF you needed a 780 to qualify for the top rates. Im getting the feeling that as more and more people are monitoring and learning how to work with the scoring systems within this credit dominated future of ours, the qualification thresholds will keep being raised. By the time I start looking for a house who even knows whether or not the fact that the neighborhood’s average credit score is an 826 while some other home Im looking at is in a neighborhood where the credit score average is 760. 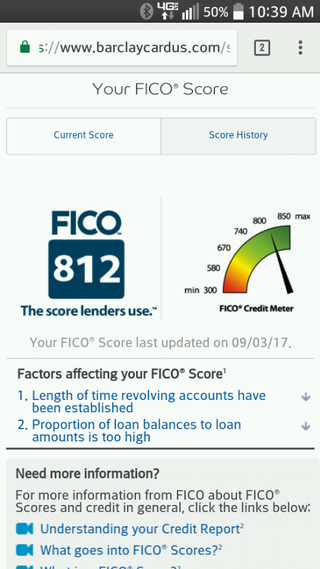 All of a sudden that lower score area gives you better rates because they want you there to bump up the neighborhood score. The credit score of your neighbors begins to (if it doesnt already) impact the resale value of your property because people always want to live in the “good” neighborhood. Zillow adds in a “Show Homes in 820+ Neighborhoods” feature and then you have neighborhood “advisors” asking you why you havent bought a brand new car or done any high dollar remodel projects. Youre killing their property values you debt-free jerk! We dont want you here. Get a loan and we can get along!! Sorry, I run paranoid in general, dont mind me. But if you’ve ever talked to “finance enthusiasts” then I bet you can imagine waking up to see “667" spray painted on your payed off Toyota while it’s sitting in the driveway. It will be an old meme in 2023. Yes, I do read a lot of dystopian short stories.